Hurricanes Harvey’s pelting rains and 130-mph winds may have stopped in south Texas, but the devastating effects on the environment could last for generations unless they are managed responsibly. In the immediate aftermath of Hurricane Harvey, at least 60 people were confirmed dead across 11 counties. The Category 4 storm left thousands stranded and destroyed upwards of 40,000 homes. Because of the record-breaking 50-plus inches of rain and flooding, an estimated 500,000 automobiles in Houston alone are undriveable. If we look at the Katrina fallout, New Orleans was able to recycle about 55 million cubic yards of debris that included 1 million appliances and 150,000 vehicles. The Louisiana city has a population of less than 400,000. Houston has more than 2.3 million residents and all the disposable material that comes with dense population. According to reports, Texas Gov. 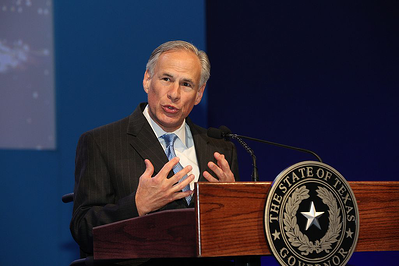 Gregg Abbott swiftly approved the suspension of 19 significant environmental rules and major concerns have been raised that materials will be mismanaged due to the volume and magnitude of the disaster. A NY Times article cited Texas Campaign of the Environment program director Andrew Dobbs objecting to the governor’s decision. “They have suspended more or less every meaningful environmental protection,” he said. While public health concerns may be best served by expedient removal of debris that is prone to mold growth and other human hazards, the state’s short-sightedness could result in long-term environmental damage. What is truly unfortunate is that Texas does not need to choose between quick removal to landfills and sustainable recycling. The disaster area has considerable financial resources in place to deal with cleanup in a responsible fashion. Pres. Trump signed a $15-billion federal relief package in the aftermath of Harvey while non-profits and private donations have tallied tens of millions more. Now it’s imperative that Houston officials tailor cleanup efforts toward responsible, lasting solutions by reaching beyond the overwhelmed landfills and resources in the Lone Star State. Natural disasters such as hurricanes Harvey and Irma are heart-wrenching. But they are also becoming more commonplace. 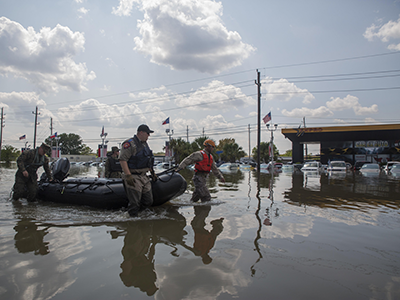 In Texas, local and federal emergency personnel were quick and able to respond. But the unfortunate underlying story is that an appropriate debris and waste material recycling plan was not in place. That means millions of cubic tons of unidentified hazardous materials are likely to be buried in the ground. However, these catastrophes may present an opportunity for environmental leaders to petition municipalities and federal agencies to couple emergency plans with sustainable recycling resources. Debris and waste material needs to be efficiently removed from disaster areas. But where it ends up doesn’t need to cause a second disaster.